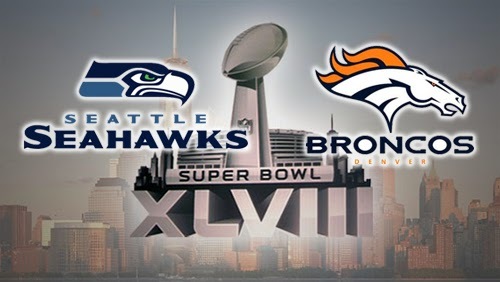 SuperBowl XLVIII live - and for the first time in high definition (HD) in South Africa - on Monday morning on SuperSport on DStv. Super Bowl XLVIII will be live - and for the first time will be seen in high definition (HD) in South Africa since the annual American football event will be broadcast live on Monday morning on a SuperSport channel on MultiChoice's DStv and no longer on the non-existent ESPN. Super Bowl XLVIII will be broadcast live and in HD on DStv on SS1HD (and SuperSport 1) on Monday morning 3 February from 01:00 in South Africa. Whereas the Super Bowl was shown the last few years on ESPN, that now-defunct channel on DStv in South Africa and across Sub-Saharan Africa was not a high definition channel. With SuperSport having taken over some of the erstwhile ESPN content, including the Super Bowl, it now means an enhanced and a much better looking broadcast for South African viewers of this crown jewel of American sport. Super Bowl XLVIII with the Seahawks and the Denver Broncos (quaterbacked by Peyton Manning) will be shown from the early hours of Monday morning South African time from what is expected to be a cold and snowy MetLife Stadium in New Jersey. BREAKING. SABC and SABC3 no longer covering the J&B Met, Vuzu on DStv picks up red carpet coverage for J&B Met 2014. In another blow for viewers of public television in South Africa the SABC and its SABC3 TV channel is done and dropping its TV coverage of the annual J&B Met horse race, with no further live broadcast. Coverage of the J&B Met taking place on Saturday is shifting to MultiChoice's Vuzu channel which decided to pick up and do red carpet coverage this year for the first time. SuperSport, also on DStv, will broadcast the horse race. The J&B Met, the biggest annual event kicking off Cape Town's social calendar, used to be shown live on the SABC, with vaunted live red carpet coverage and a live horse race broadcast from SABC3 and SABC Sport. As a result it saw a perennial, heavy presence from SABC executives as well as SABC entertainment and magazine shows. Now its all over. The SABC didn't respond to a media enquiry as to why the public broadcaster suddenly dropped its annual coverage of the J&B Met social arrivals and live horse racing, and is silent as to how the cancellation of J&B Met coverage on SABC3 - originally scheduled for the channel, but now suddenly no longer happening - came about. During its heydey, until just before the SABC came close to financial collapse in 2009, the public broadcaster had annual stands, a lounge section in the marquee tent, and some years even its own separate tent to host VIP invitees, telegenic personalities, high-flying SABC executives and selected guests who were jetted into Cape Town for the weekend to socialize, sip champagne and show off their designer frocks. Now there will be no J&B Met 2014 coverage on the SABC on Saturday with the theme "Made to Conquer". The M-Net supplied MultiChoice channel Vuzu (DStv 116) has picked up the J&B Met red carpet coverage but only pay-TV subscribers will now be able to see it. A Vuzu spokesperson confirms to me that the channel is showing the J&B Met 2014 for viewers. "This is the first time we are covering the J&B Met. It will be red carpet interviews covering fashion as well as covering the main race". J&B Met 2014 coverage will be shown on Vuzu on Saturday from 16:00 to 17:00. Vuzu's V-Entertainment presenters Lalla Hirayama, Siya Ngwekazi and Denise Zimba will cover from Cape Town. SuperSport will also be crossing to the J&B Met horse racing on Saturday from 15:30. Were telegenic Bonang Matheba a team player in sports on the field, her happy coach would call her an all-rounder - that rarest of rare players you can not only send out to battle in any position, but who also excels in every position and helps to bring it home for the team. If you didn't see her do it, tune in for the repeat of SABC3's Top Billing on Sunday at 12:00 to marvel at not just Bonang Matheba the TV presenter, but brilliant Bonang Matheba the game show host and quiz show master. Its not idle praise, nor undeserved recognition, of the simply excellent on-screen television talent that's being exhibited by this South African TV maven. Bonang Matheba - cast as an uber elegant Greek goddess in a once-off format change of sorts (and brilliantly produced by the way) - simply shined on Thursday evening in an episode of Top Billing which emulated the genre of classic game show television with perfect success. While viewers and contestants of the Top Billing had to answer questions about the show, Bonang Matheba, who got passed a new ball, suddenly just ran with it and resoundingly successful scored yet another perfect touchdown: that of quiz show presenter par excellence. Certain TV formats simply suit certain presenters better - it's not a bad thing, its just that certain types of shows plays better to the different strength of different presenters. Then there's the remarkable few like Bonang Matheba - people in and on television who are audiovisual virtuosos, transcendent TV stars with the capability to fit any mold, and to become anything (and perfectly so) that the director or floor manager or producer shouts in their ear. These TV people don't just become the best of what a specific format requires, they simply are it already and imbue it with what's inherently inside themselves and cannot help but be brought forth. Can Bonang Matheba also be a TV game show host? If you watch this week's Top Billing the answer is not just unequivocally yes, its a yes which comes attached with exceptionalism. Besides Top Billing, Bonang Matheba already got close to game show raconteur. She was and remains a presenter on Mzansi Magic's reality singing competition Clash of the Choirs which will be back for a second season this year. Would I be surprised if Top Travel, the Top Billing off-shoot adds Bonang Matheba to the mix to turn the duo travelling show of Jeannie D and Janez Vermeiren into a trio to not just spice it up but to alleviate production pressure if there's three presenters? Would I be surprised if Bonang Matheba adds a limited-run type TV talk show like fellow Top Billing presenter Jo-Ann Strauss did for e.tv? Would I be surprised if Bonang Matheba did a The Talk or a The View type daily local talk show as a first ever for South Africa, like for instance M-Net or M-Net Series Reality as a signature type show for that channel with her as the main moderator? No, no and no. And no to being surprised by basically any TV format she might attempt to further add to her growing on-screen resume. Bonang Matheba's name means "look at". And in the world of television its now clear that you can look at Bonang Matheba in anything that she wants to appear in - without having to worry if she'll make it. For when it comes to television touchdowns Bonang Matheba has made it self-evident that she will score for you. And isn't planning on ever dropping the ball. BREAKING. Mohamed Kajee wins the Top Billing Dream Home competition - and the biggest prize ever given away on South African television. 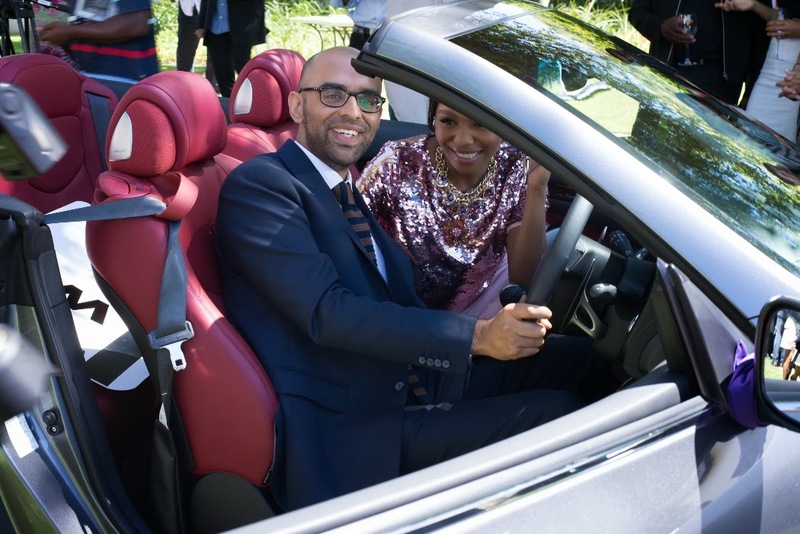 Mohamed Kajee has become the winner of the biggest prize ever given away in the history of South African television by winning the R5.8 million Top Billing Dream Home competition on SABC3 which Top Billing ran for the show's 21st birthday. Mohamed Kajee, an internal auditor from Johannesburg who've just moved to Kenilworth, Cape Town with his wife Saffiya Cachalia, won the keys to the R5 million, top floor luxury apartment in the Mirage complex in Cape Town's trendy De Waterkant area. He also got the keys to a brand-new Infiniti Cabriolet worth R700 000, as well as a R100 000 Woolworths gift card. The second and third place winners in the Top Billing Dream Home competition up also went home with tens of thousands of rand in prizes, making for an individual winner prize value and an overall combined prizes value over the 21 weeks of the competition which dwarves anything ever given away on a South African TV show before. "Its the fairy tale start of our lives together in Cape Town," said Mohamed Kajee, "an apartment, a car, a whole lifestyle, a new city - its exactly what my wife and I were looking for." 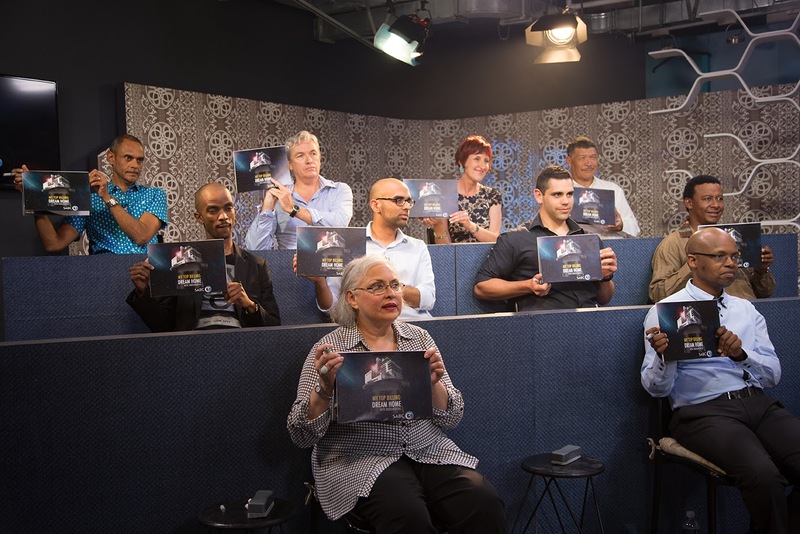 In Thursday evening's Top Billing episode viewers saw how the Top 10 contestants had to endure a gruelling quiz to test their knowledge about Top Billing as they had to write down the answers on notepads and then hold it up. "Sitting in the studio was all pressure, with all these contestants - everybody all energised and ready to win this competition. It was very difficult," said Mohamed Kajee. The Mirage apartment was built by the Nova Group. Viewers followed the weekly progress of the entire apartment step by step, which lend an interesting new twist to the local glamarama lifestyle programme which has over the past 21 years become synonymous with showcasing South Africa's most beautiful homes. The Mirage apartment's interior architecture was done by the award-winning architect Stefan Antoni. It includes a gourmet Miele kitchen, a Hansgrohe bathroom, 40 MBPS unlimited internet, a cutting-edge entertainment centre, R100 000 of Woolworth decor - and a spectacular view of Cape Town and Table Mountain. "The response we received from the public was overwhelming and the Top Billing lifestyle has become a reality for Mohamed. We congratulate him," said Patience Stevens, Top Billing co-executive producer. "We've had such fun turning this idea into a magnificent reality," said Bonang Matheba, Top Billing presenter. "It's been such an exciting competition to work on all together in celebration of Top Billing's 21st birthday as a show," Basetsana Kumalo, Top Billing co-executive producer told TV with Thinus. "We worked tirelessly with a number of sponsors to make this dream come true and to give Mohamed this fantastic prize. Mohamed really is a well-deserving winner. He worked hard to answer the questions." I asked Basetsana Kumalo what she makes about the legacy, endurance and ongoing popularity of Top Billing. "You know what, its such a humbling experience. Twenty-one years down the line we still have a South African audience glued to their screens on a Thursday, wanting to see the best of the good life, wanting to watch Top Billing with us." "You're as good as your team. And Patience Stevens and I are blessed with a formidable, dedicated, committed team of extremely talented individuals who go above and beyond the call of duty to create quality television." "We try to continue to not reinvent the wheel - because the format of the show works and viewers know exactly what to expect - but its always trying to keep it fresh and exciting with an infusion of some new talent, with the likes of Bonang Matheba." "Its been a great milestone to celebrate 21 years. We've come of age, we've earned our stripes and Top Billing is known as the longest running lifestyle magazine show on South African television," Basetsana Kumalo told me. "Its a really great accolade to be able to be known as a South African brand that produces world class international quality content. Top Billing been and remains a great, great journey. And I was really thin when we started - ha, ha - and since then its been just a phenomenal journey." BREAKING. Comedy Central crisis as Kenny Kunene has to replace Leon Schuster who now refuses to do the Roast. 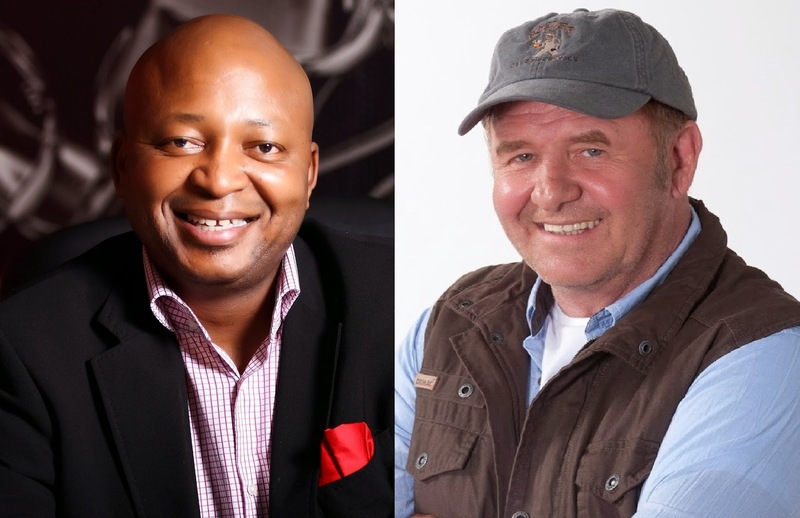 Comedy Central crisis: Kenny Kunene has been roped in to replace Leon Schuster who has suddenly backed out of doing the Comedy Central Roast set for 3 April. Leon Schuster will no longer sit in the Roast seat after apparently being advised to rest by doctors. Leon Schuster told Comedy Central last week that he is no longer doing the Roast. Comedy Central executives immediately called Kenny Kunene last week and asked him to help - South Africa's "Sushi King" has always been on Comedy Central's radar as a potential roastee. Comedy Central says Leon Schuster "has been advised to rest by his doctors following an intense work schedule which has seen him shoot two movies back-to-back, and who is awaiting a knee replacement operation". Leon Schuster says that he's "heartbroken to be missing the Roast and so sorry at any disappointment caused to my fans but unfortunately all those silly movie stunts and some old rugby injuries caught up with me at the ripe old age of 62. I'm going to take some time out for a bit of rest and recuperation and I look forward to coming back fit and refreshed in a couple of months." The change clearly means new work by Comedy Central to find and secure new local celebrity talent to roast Kenny Kunene instead of Leon Schuster. Comedy Central didn't announce who Kenny Kunene's roasting panel will be. Evert van der Veer, Comedy Central channel director says he's "excited to welcome Kenny on board as our second Roastee". Evert van der Veer tells TV with Thinus in answer to a media enquiry, that "the decision was made by Comedy Central on the advice of his doctors". "We think Leon would have made a great roastee so naturally we are sorry that he can no longer participate but he has been told to rest and his health is the most important thing." "Kenny is a brilliant alternative - a controversial and well-known media figure thanks to his colourful career," says Evert van der Veer. "Kenny's ability to court controversy and to polarise opinion offers lots of comedic possibilities and make him truly Roast worthy." Kenny Kunene says "You can never roast sushi. Don't even try. But bring it on Comedy Central!" The Comedy Central Roast of Kenny Kunene will be recorded on 3 April and will be broadcast on the channel on DStv on 28 April at 20:00. It will be the second South African Comedy Central Roast, based on the American Comedy Central format which kicked off last year with Afrikaans singer Steve Hofmeyr. BREAKING. Is Lulama Mokhobo out as group CEO at the SABC? The SABC quiet after sources say she's gone. Lulama Mokhobo is apparently out as group CEO at the SABC, two separate sources told TV with Thinus early on Monday morning - with one source who told me over the phone that Lulama Mokhobo left yesterday. It's the story I've been working since this morning, but as yet there's no official answer from the SABC as if to whether this is indeed the case. The SABC has not been able to immediately confirm when I asked them on Wednesday morning whether Lulama Mokhobo had indeed left or resigned from the South African public broadcaster. The SABC's spokesperson Kaizer Kganyago's cellphone was off since he was flying back to Johannesburg from Cape Town and couldn't return voicemail left. I called again later on Wednesday and over the phone Kaizer Kganyago to me he just landed and that he wasn't aware that Lulama Mokhobo had resigned or that she is leaving the SABC. He said that he wasn't knowledgeable as to whether she has resigned. Kaizer Kganyago told me Lulama Mokhobo didn't tell him anything when he saw her earlier this week. Another SABC spokesperson also said she wasn't aware of news such as Lulama Mokhobo's resignation, and appropriately asked for more time to investigate the matter, when I quickly phoned this morning. I also made an official written media enquiry to the SABC on Wednesday morning and remade it on Wednesday afternoon. The SABC's Kaizer Kganyago responded in a written reply that the SABC is not aware of a resignation by Lulama Makhobo. Several other well-connected SABC insiders who I also called today and spoke to during the course of Wednesday, also said they knew nothing about Lulama Mokhobo leaving. However I did then call yet another insider at the SABC who said workers are talking and that they were told she apparently "left yesterday". I have to stress that this cannot be confirmed at this point. Also, another SABC insider told me early this morning that "Lulama Mokhobo is gone". I have refrained from publishing a story and have been working the phones and sources both inside the SABC and out, for hours today since early this morning but have not published anything. I decided to wait for either solid confirmation from a real solid source - or then publish nothing if it turned out to be just a rumour. A lot of rumours float around in South Africa's TV biz on a daily basis - they don't all get reported. As a journalist your job and your responsibility - and one which I take very seriously - is to report the news. And as accurately as possible. I follow up as many tips and rumours as I can on a daily basis and several turn out to be false - although I do the legwork of trying to verify information anyway, should something turn out to be true and a story. So why am I now writing what I heard through the grapevine today about Lulama Mokhobo? Because now DRUM magazine, working off of only a Tweet (what has the world come to?) and no real original source or even a second source, saying Lulama Mokhobo has resigned in a story written by Refiloe Lepere. Refiloe Lepere uses as sole, unconfirmed source, the 140 characters from an SABC trade union boss, Hannes du Buisson and nothing more - who could have heard the news or the rumour from another secondary place. Who is to say it is true? Fin24 then picked up the DRUM story for their own story, using only DRUM - which is a tabloid publication - as its reference. Fin24 then says Screen Africa is saying Lulama Mokhobo has resigned - without actually doing real journalism like looking at the date. Fin24 did so before publishing, it would have seen that its not relevant because it's from her resignation from the SABC years ago). Fin24 then made themselves look even more embarrassingly bad by now backtracking after publishing and altered and deleted the Screen Africa reference and information it took from there for its own story. Fin24 failed to indicate that its published story has been changed and how after publishing. Fin24 even deleted some of the "facts" it took from the DRUM and Screen Africa quoting stories ... and altered the same story for a 3rd time late on Wednesday - a 3rd new headline with third copy rewriting inside the same story with zero indication of revisionist rewriting which is taking place inside the same article Fin24 rushed to publish. Anyone who've watched the second season of The Newsroom can appreciate the insanity of badly done journalism in the mad quest to be first, without properly checking the news and having and working from real credible sources. DRUM and Fin24 will now probably both hope as publications that a "fact" reported will hopefully become a fact proven true over the next day or so - just like The Newsroom. Because there's that thing called credibility in journalism which is hard to come by - and so quick to trash through sloppy and low journalistic standards like rather waiting to get it right, than to just publish and rehash and rehash it afterwards to make it more correct. Can we get some real journalism covering the TV industry in South Africa? Can we get and check facts and only report those? BREAKING. MultiChoice launching an Oscar Pistorius TV channel to cover the court trial of the Olympic hero who killed his girlfriend. MultiChoice is launching an Oscar Pistorius TV channel on 2 March DStv to give viewers rolling coverage of the Oscar Pistorius court trial starting on 3 March. The Oscar Pistorius murder trial will kick off in March after he killed his girlfriend Reeva Steenkamp on Valentines Day on 14 February 2012. The trial is scheduled to start on Monday 3 March, and is set to continue to 20 March in the Pretoria High Court. It's not yet clear whether the trial judge will allow any of the Oscar Pistorius trial to be televised or broadcast live on television - a decision will be made closer to the time. 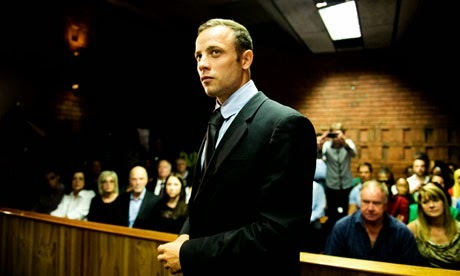 Whether or not a judge grants permission, the Oscar Pistorius trial TV channel will go live on DStv on 2 March, a day before the court case is set to begin. MultiChoice is calling the channel the Oscar Pistorius Trial: A Carte Blanche Channel. Combined Artistic Productions will be primarily responsible for producing content for the channel which will run on channel 199 on DStv. Whether the judge allows the proceedings to be filmed or broadcast live, the Oscar Pistorius TV channel will run documentaries, interviews, profile segments as well as in-depth analysis of the court case and the star personalities who will testify, as well as on Oscar Pistorius. "The Carte Blanche producers were the obvious choice to create and package the channel," says Aletta Alberts. '"Their mantra of 'You have the right to see it all' ensures that viewers will get a fair and balanced coverage of the trial," says Aletta Alberts. BREAKING. M-Net Series Zone on DStv simplifying its schedule, making more international shows available to other DStv bouquets quicker. M-Net Series Zone (DStv 115) is revamping the channel's programming schedule, making more international TV shows available quicker for DStv subscribers to the DStv Compact Plus, DStv Compact and DStv Extra bouquets. The changes to M-Net Series Zone will be introduced from Monday 3 February. "This is indeed great news for M-Net Series Zone viewers," says Lani Lombard, M-Net's head of publicity. "For example, series such as The Following and Under the Dome, whose first seasons will air on M-Net Series Zone from February, were audience favourites on M-Net (DStv 101) on DStv Premium last year." "If you haven't seen it yet, this will give you the opportunity yo catch-up on some magical TV. Furthermore the new schedule structure will make it easier for you to know in which timeslot you will find your favourite type of show." Survivor South Africa Champions: Zavion and Corné - And a brand-new bromance blossoming on TV (which always starts with a shoulder slap). There's a brand-new bromance blossoming on South African television, and its playing out - thanks to the content directors and a reciprocating shoulder slap - between Corné Krige and Zavion Kotze on Survivor South Africa: Champions on M-Net (DStv 101) on Sundays at 17:30. Viewers tuning in to the new fifth season of the local version of the international reality show would have seen the insta bromance which is developing between the former Springbok rugby captain and the former rugby player wedding planner. And the other Survivor South Africa: Champions contestants have picked up on the Joey-Chandler camaraderie it too. "I just want to get picked by Corné. That's all. If I'm on Mark's team I will be quite upset. Corné please pick me, pick me, pick me," narrated Zavion Krige to camera in the first episode. "Zavion. I won't forget your name because you cleaned them up," said Corné Krige later when the Selatan tribe properly introduced themselves. "We've got a connection in terms of rugby. I used to play rugby with the Sharks Academy for two years after school. And we've got that to connect on, and I'm hoping that its going to carry through getting to know him better, so he can root for me to won," said Zavion." Oh, and how to viewers' delight is that little bromance not blossoming on that island in the South China Seas. 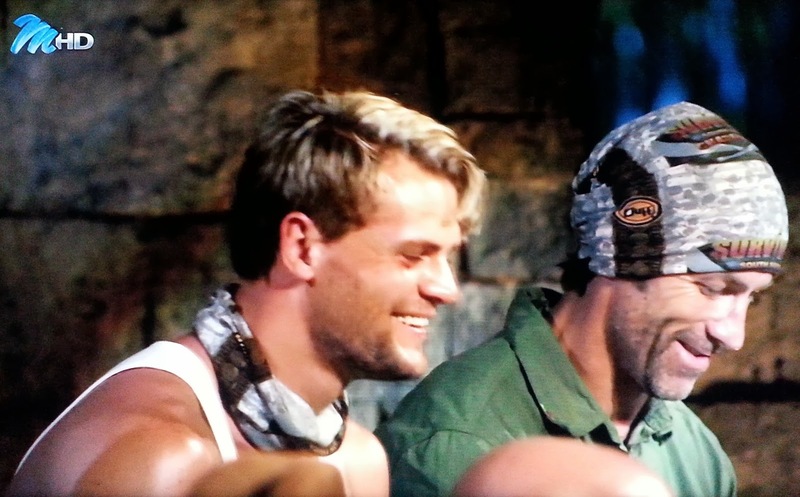 Not just sitting together at the Selatan camp, Cor and "Big Zav" were also sitting together and right next to each other at tribal council (yes, it could be that they were set up that way by the content directors), but from their non-verbal body language you can clearly see who the leaders in this season is at the moment. Where you sit, how you sit and who you sit with - given a choice - is one of the most obvious non-verbal cues of who we like and who we don't like. People try to sit close to (and stand and interact with) the people who they have an affinity for. "Zavion and Corne are very tight. They're like a bromance," remarked Shona during Sunday evening's second episode. People look but they often don't really see. Observe closely, and you will see how friends blatant mimic each other's non-verbal body language and facial expressions for instance, without even being aware of it. You can quickly work out who's friends with whom, even if you've just arrives at an event or enter a group and don't know anybody, by looking at what people are a mirror of each other's faces. Do you still have Sunday's episode of Survivor South Africa: Champions on your PVR or DStv Catch-Up or On Demand? Go back to the first tribal council and look at Zavion's face and Corne's facial expressions. They constantly make the exact same facial expressions, given the same verbal cues, even when they're not looking at each other - for instance leaning forward, gazing down, even when they're not looking at each other (go see if you can spot it). Fascinating huh, when you know what to specifically look for. One swallow does not make a summer, but once you notice a repeat pattern you can trust it. So you'll quickly see, and would be able to gauge the level of the friendship between Zavion and Corne. It's clear they are much better friends with an instantly high level of trust from the outset than any of the other remaining contestants on either tribes. They sit the same, they shoulder slap the same (doesn't it always start with a shoulder slap?) and the adorable burly duo even make and echo back the same little laugh in the clip above if you study it closely for your sociological perusal. Yes. Now do you see how the one gorilla is signalling to the other gorilla that they're running the show together? And speaking of sociology, lets get to Survivor South Africa: Champions' first tribal council. The whole of Selatan - including Corné Krige - were answering dishonestly. Lying, lying, lying. Look at how someone would shake their head from side to side in the negative while trying to give a positive to an answer. Look at how they "uhm" in the middle of a sentence just before blurting out something they have to make up (a lie or half-truth or justification); the eye-blinking while talking (I want to hide with my eyes because what I say with my mouth is fake), the quick downward gazes (admitting defeat or your body non-verbally admitting you're "caught in a lie"), the shoulder shrugs. It's all too much, yet fascinating television. 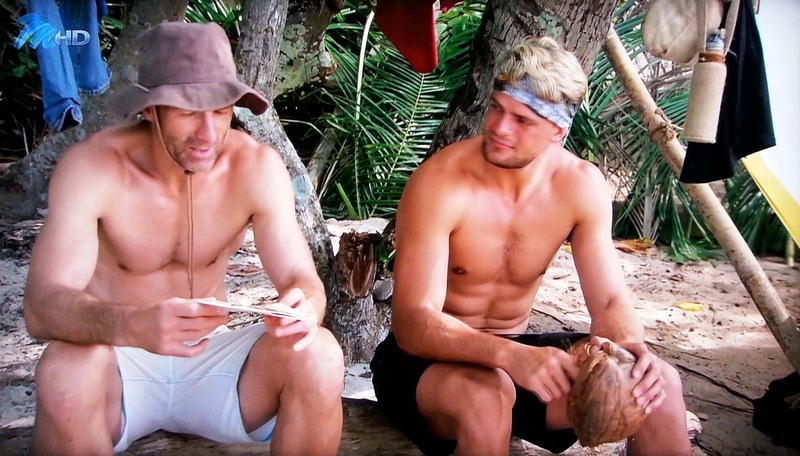 With Zavion Kotze and Corné Krige as the first very strong relationship in Survivor South Africa: Champions, it will be interesting to see what other strong relationships take shape on that island. BREAKING. 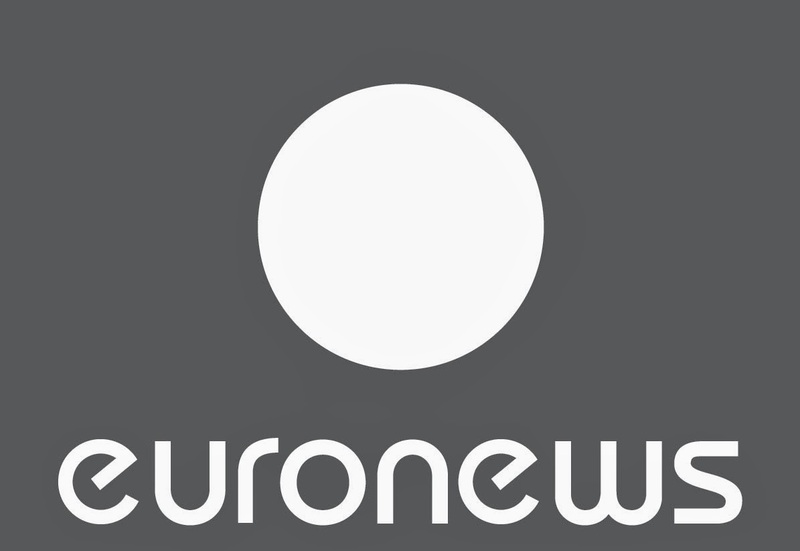 euronews to launch a new Afrocentric 24-hour TV news channel, Africanews, as a new sister TV news channel in 2015.
euronews (DStv 414) has announced that the 24-hour European-based English 24-hour TV news channel seen in South Africa on on MultiChoice's DStv, will be launching a new Afrocentric sister news channel named Africanews in 2015. Africanews will cover African news and the African continent more in-depth and will be headquartered in Brazzaville in the Republic of the Congo. Together with Africanews as a TV channel, there will also be the website www.africanews.com. Africanews will be run by 40 journalists and technicians based in Brazzaville, as well as correspondents spread across Africa to gather and report Sub-Saharan African news. Africanews will be financed by advertising and will broadcast in English and French, with plans to include other languages such as Portuguese, Arabic and Swahili later. Africanews plans to adhere to the same editorial charter as euronews to maintain its editorial integrity and independence. euronews and Africanews will share news. The agreement was signed on Saturday in Brazzaville between Michael Peters, CEO of euronews, and Jean Obambi, the managing director of Télé Congo. "Our strategic and highly ambitious project will not be a mere African 'window' made by euronews, as most international news channels do, but rather a fully-fledged Pan-African network, with editorial choices made by Africans for an African audience," says Michael Peters. The project is backed by US journalist and expert in African affairs, Stephen Smith an American journalist and expert in African affairs and who previously worked for French titles Libération and Le Monde will help in creating Africanews as a new TV news channel. BREAKING. New schedule for MSNBC during primetime in South Africa on StarSat, starting 24 February. MSNBC (StarSat 410) will have a new primetime schedule for South African TV viewers coming into effect from 24 February, the American 24-hour TV news channel just announced. Several MSNBC shows will be changing timeslots from after the 2014 Winter Olympic Games in Sochi. NewsNation with Tamron Hall moves to 18:00 (all South African times) from 24 February. Andrea Mitchell Reports moves to 19:00. Ronan Farrow will have his as-yet-untitled weekday show at 20:00, and Joy Reid will start her brand-new as-yet-untitled weekday show and timeslot at 21:00 South African time. "Tamron Hall has established herself as one of the best news anchors in the business," says Phil Griffin, the president of MSNBC in a just-issued press statement. "It strengthens us to have her host during our morning news block." "Andrea Mitchell is so critical to MSNBC," says Phil Griffin. "Andrea brings on the biggest newsmakers of the day and the new time slot will help showcase her work". MSNBC is adding Ronan Farrow at 20:00 for South African viewers, and Joy Reid at 21:00. "One of the highlights of this job is finding new talent," says Phil Griffin. "Ronan Farrow and Joy Reid are two of the most thoughtful and impressive journalists out there and I'm excited for what they will bring to the afternoon." BREAKING. BBC Brit starting as a new BBC global TV channel 'geared' towards men. Will MultiChoice and BBC Worldwide add it to DStv? BBC Worldwide is starting a new thematic TV channel which will be called BBC Brit - a brand-new global TV channel geared towards men and on which BBC shows such as Top Gear will be shown. It's not clear whether BBC Worldwide - which already runs BBC Entertainment, BBC Knowledge, BBC Lifestyle and CBeebies - on MultiChoice's DStv, will be bringing BBC Brit to South Africa and Africa. Indeed it seems as if very big changes are on the cards for BBC Worldwide's BBC portfolio of channels about which BBC Worldwide isn't talking for now. It seems to me likely that BBC Entertainment, BBC Lifestyle and BBC Knowledge are all going to go away, to be replaced by BBC First, BBC Brit and BBC Earth (with CBeebies unchanged). BBC Earth is of course the new factual TV channel brand from BBC Worldwide - part of a new TV channel brand which first surfaced two years ago and which has slowly been advancing. With the news of BBC Brit starting, my guess would be that BBC Entertainment and BBC Lifestyle will fuse to become one single TV channel to become BBC Brit, sending its programming which doesn't fit to other BBC channels. In October last year TV with Thinus reported that BBC First is coming as BBC Worldwide's new global TV channel, which will launch in Australia first this year. BBC First will carry premium drama and high quality first-run British programming. 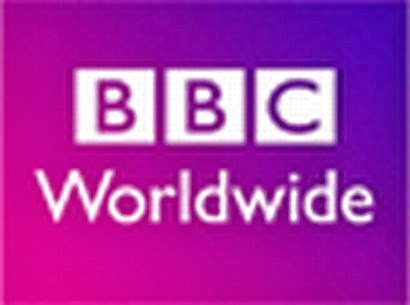 Also remember that one of the existing BBC Worldwide channels WILL be closing down and undergoing a rebranding. We don't yet know which one, but it will definitely happen. If BBC Entertainment possibly ceases to exist, programming geared towards male viewership on BBC Entertainment will not go to BBC First but to BBC Brit. And then there's BBC Earth - the other new BBC Worldwide channel, which will likely be rolled out globally further (to replace BBC Knowledge?). So my guess and speculation for now would be: Either at once on DStv for South Africa, or over time, we could see BBC Entertainment and BBC Lifestyle become one channel as BBC First. BBC First will retain shows such as Dancing with the Stars and Downton Abbey on the new BBC First channel and sending programming from BBC Entertainment and BBC Lifestyle to BBC Knowledge. BBC Knowledge itself could remain BBC Knowledge or be changing its name to BBC Earth. And then there will be the new BBC Brit channel for more guy focused shows, and CBeebies for the little ones. That only BBC Entertainment closes down, or only BBC Lifestyle closes down. (So they don't fuse; the one just closes down.). That would leave BBC Brit, and BBC Earth (or BBC Knowledge) and in addition to that also or a BBC Entertainment, or a BBC Lifestyle. It won't be the first time the BBC's global TV channels are going through a renaming, rebranding and positioning realignment as they've been seen on DStv in South Africa. Remember BBC Food which didn't exist and was then started? Remember when BBC Food was cancelled a few years later to become BBC Lifestyle? Remember BBC Prime which preceded BBC Entertainment Remember when there wasn't even a BBC Knowledge? Remember Top Gear which was on BBC Prime, then BBC Entertainment, then BBC Knowledge and is back on BBC Entertainment? "BBC Brit will capture the maverick spirit of our premium factual entertainment programmes," Tim Davie, BBC Worldwide CEO told Britain's Broadcasting Press Guild. The creation of BBC Brit and BBC Earth bring with it tantalising new possibilities, programming changes and restructuring. It will be interesting to see how the new brands of BBC Brit and BBC Earth impacts the existing BBC channels seen in South Africa, and if, when, and how. On Sunday evening Ashleigh Bryant (23) from Cape Town became the first evicted contestant from the new season on M-Net, when her torch got snuffed after a dramatic turn of events of double-cross, blindsided, didn't-see-that-coming alliance switching. 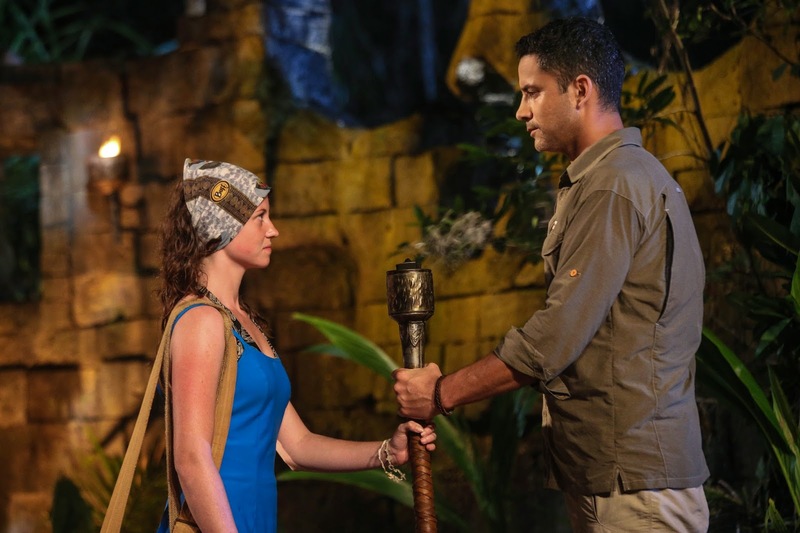 I caught up with Ashleigh Bryant on Sunday to ask her more about her experience on the island, the show, and how she feels after what happened. Read what Ashley Bryant told me about missing toilet paper, who she would like to see win and what she thinks about the show. How does it feel to be the first person voted out of Survivor South Africa Champions? Not so great. I think it's always one of the hardest things to go out being the first. It was quite a shock. You just got to take it in your stride. Do you feel you were blindsided? I think I was. Yes. I was blindsided because I don't see myself as being the weakest. I think I have a lot to offer in terms of physical strength, mental strength. I was under the impression that regardless of which alliances were where, that we were going to follow Corne's lead. So yes. It was a shock. Have you been back to Cape Town and what did people make of you? I actually graduated. I graduated before I went on the show, and I'm currently looking for a job. So I haven't been thrust into the public that much. From the people I know and the people in my life - they're all very positive and supportive and they loved it. I'm feeling like its my 15 minutes of fame here. What about the show surprised you the most? How hard it would be and how suspicious you become. You quickly become suspicious of people. And why did you decided to enter the show? I love the show. I'm a die-hard fan and have been for many years. What was for you the most difficult thing, one the actual show began and you arrived on the island? Probably food. I'm a big eater. So that was quite a huge thing to get my head around. I see you said you studied film, or studying film was part of your tertiary studies. What do you make of the way in which Survivor South Africa Champions looks and the way in which it has been filmed? It's blowing my mind. I think its beautiful. Production did a great job. It was very professional and everything is top class. Since you're not going to win I think, who would you like to win? Well, taking my personal feelings out of it, I think the person who has the most entertainment value for me, I think Zavion should take it. He's breaking stereotypes. He's doing a great job. Knowing him on the island, he's huge, he's a sweetheart. And although there were moments when I didn't really trust him, I know that he's a good person and I think that he deserves it. What do you appreciate more after having done the show? The toilet and my toilet paper. A luxury that you really do take for granted. I mean, there's been times that I've forgotten to buy toilet paper and its been a huge crisis and the end of the world. But I will never forget again. And my last question Ashleigh, is, what did you learn from Survivor South Africa Champions as an experience? Uhm. What have I learned? To look at the bigger picture. Not to get too invested in the little things which are happening right there. Just to take a step back and to be calm about the things you're doing. 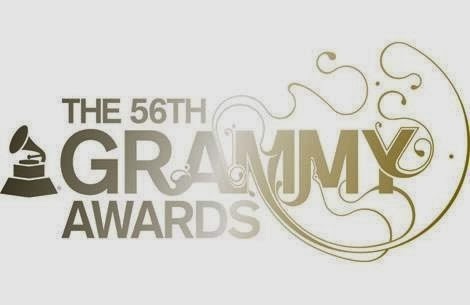 The 56th Annual Grammy Awards seen in South Africa live on Channel O, as well as on M-Net and E! Entertainment. The 56th Annual Grammy Awards will be shown live on South Africa on Channel O (DStv 320) on Monday 27 January from 03:00 until 06:30. The 56th Annual Grammy Awards is taking place at the Staples Center in Los Angeles with LL Cool J as the host. Pre red carpet coverage from the Grammys starts and will be shown live on E! Entertainment (DStv 124) with Live from the Red Carpet: The 2014 Grammy Awards from 01:00 to 03:00 on Monday morning, 27 January. The recorded 56th Annual Grammy Awards will be shown on Channel O on Monday 27 January at 20:30, as well as on Saturday 1 February on M-Net (DStv 101) at 16:00. BREAKING. 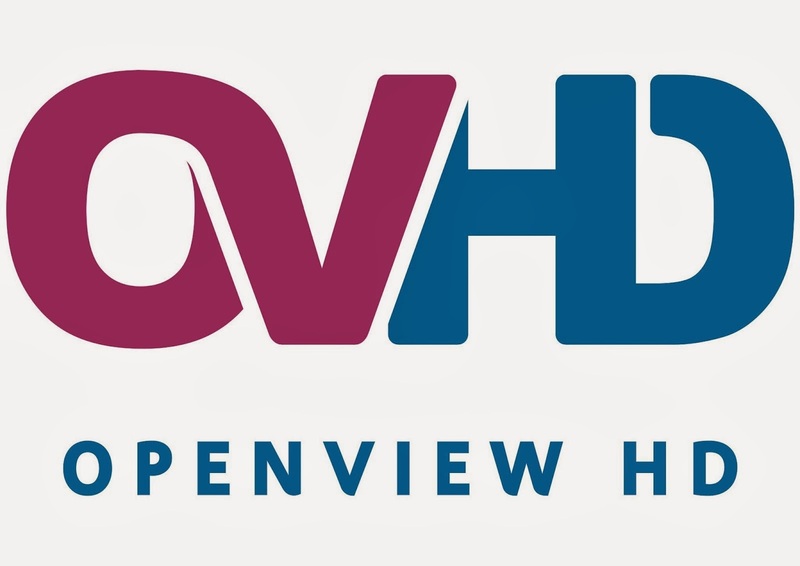 OpenView HD (OVHD) adds 3 further TV channels to its platform: Bi-Cars, Ekurhuleni TV and UCBN. OpenView HD from Platco Digital, a division of Sabido Investment running the OVHD free satellite TV platform service in South Africa, is adding 3 further TV channels - Bi-Cars TV, Ekurhuleni TV and the Christian TV channel United Christian Broadcasting Network (UCBN) to its existing line-up of 15 TV channels. Ekurhuleni TV is a community TV station carrying local news, music, educational, health and religious programming. Bi-Cars TV is a new reality street motorsport lifestyle channel. Bi-Cars TV on OVHD will showcase motorsport news, fashion, celebrity riders and real-life stories of street Moto-sport lifestyle, entertainment and music. According to OVHD biking enthusiasts will like Bi-Cars TV, covering Moto-sport trend setters, spinners, drifters and dragsters. "This is a market that shares one of the most expensive sport, with professionals from different sectors and love spending money on, and are passionate on their hobby. Bi-Cars shows will include Mzansi Celebrities Bikers, Bi-Car make over, Battle of crews, BC league, Championships of Speed and Sound, and Torque Talk. United Christian Broadcasting Network (UCB Network TV) is a Christian based channel providing religious content. UCBN programming include shows such as Men of Honour, Women in me, Pastor's Corner, Africa Talent Show, It's not over yet (Another chance), Nuggets of Wealth and Leadership, U kids. DStv's Explora and HD PVR subscribers required to reset 4 things for 4 TV channels from after 29 January following a PVR decoder reboot. Similar to On Digital Media's (ODM) StartSat subscribers who had to do - and are still doing some - resetting on their decoders since the end of the year, MultiChoice's DStv Premium subscribers with HD PVR's will be required to reset some things on their decoders at the end of this month. Since Discovery HD Showcase is soon disappearing on DStv with Discovery Channel getting upgraded to an HD channel as well as other technical transponder changes at MultiChoice, DStv premium subscribers will have to reset a few things on their decoders from after 29 January. This include their favourite channels list, scheduled recordings, channel blocking and reminders where any these four things involve any of these 4 TV channels which are all broadcast in HD: Studio Universal (DStv 112), Universal Channel (DStv 117), FOX (DStv 125) and Discovery HD Showcase (DStv 180). The resetting is necessary since MultiChoice is migrating the four HD channels on 29 January at 00:01. The channel numbers are not changing, although the technical changes will create a reboot for DStv's HD PVR's and the DStv Explora early in the morning of Wednesday, 29 January. It will result in DStv subscribers who will have to delete and reset their favourite channels list, reminders, channel blocking and scheduled recordings as it involves these channels after this date. If DStv subscribers are recording something on any of these channels, DStv subscribers will have to manually reboot their DStv decoder - so best to rather keep these channels clean of recording and not to record or set any planned recording for these 4 channels on 28 and 29 January. Also best to keep your DStv HD PVR or DStv Explora on. If it is off or in standby during this period, the decoder will rescan when you take it out of standby or switch it on again, and will then automatically update the channels. Days of Our Lives seen on SABC3 renewed until 2016; soap will celebrate its 50th anniversary in November 2015. Days of Our Lives, the American TV soap seen in South Africa on SABC3 on weekdays, has been renewed for two years through 2016. That will ensure that the Corday Production Inc produced soap done in association with Sony Pictures Television will see its 50th anniversary and more importantly - can start planning for it. Another one year renewal for Days of Our Lives would have taken Days to September 2015. If Days was renewed then, it would have given the soap too little time to prepare for its 50th anniversary just two months later, which falls in November 2015. By renewing Days now for two years, it takes away the uncertainty for the producers who can preplan beyond September 2015, and into and past November 2015 - meaning bigger and better storylines. That means that Sami may be leaving Salem but that Days of Our Lives will celebrate 50 years on television in a year's time in a big way. "Days of Our Lives continues to be a fan favorite for the daytime audience and we are thrilled to keep it going through its 50th season," says Jennifer Salke, president of NBC Entertainment in America, in a statement. She says Days of Our Lives "remains both relevant and fresh creatively due to the hard work of the producers, writers, cast and crew who have worked tirelessly to make Days the ratings success it is today". Ken Corday, the executive producer of Days of Our Lives says he is "thrilled" to have "the support of our incredible network and studio executives who work tirelessly to allow us to continue telling our stories and share the Days legacy with our devoted family of fans". "Days of Our Lives continues to deliver on its legacy of quality storytelling," says Steve Kent, senior executive vice president of programming at Sony Pictures Television, saying Sony is "excited to celebrate the show's 50th anniversary with our generations of dedicated fans." 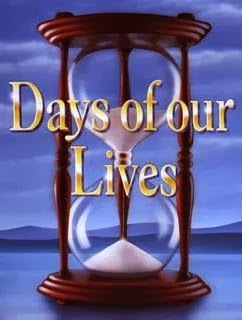 Days of Our Lives started in 1965 as a half hour soap and then became an hour long in 1975. The Cream Pies make it onto Ellen's talk show on M-Net Series Reality after she notices their funny song about her. The Cream Pies, the hilarious American quartet who concocted a funny song about and for Ellen DeGeneres in the hope of appearing on Ellen which went viral just over a week ago, was successful. Ellen is seen in South Africa on M-Net Series Reality (DStv 114) on weekdays at 18:30. Just over a week ago The Cream Pies made a hilarious singing plea to appear on Ellen DeGeneres' talk show. She and her producers noticed them and now The Cream Pies are getting their moment on international television. eNCA makes as if Late Nite News with Loyiso Gola doesn't exist; e.tv and eNCA doing ZERO PUBLICITY for return of the satirical show. A new season of Late Nite News with Loyiso Gola has started - but eNCA (DStv 403) and e.tv's marketing and publicity department clearly has no intention of doing any press or pre-publicity to tell viewers that the Emmy nominated show is back. Because e.tv publicity and eNCA did ... Nothing at all. Not a single word about Late Nite News' return in 2014 went out to press, similar to previous years when TV critics like me have/had to beg and plead for information. It begs the question: Do eNCA and e.tv hate Late Nite News with Loyiso Gola? e.tv's publicity department is quick to waste time and send out press statements about fictitious shows like Housewives of Nkandla that its not doing. Yet it completely fails to properly and correctly inform and tells TV critics and the press what shows they are doing and what new programming on a weekly basis there is. With no press release, no programming note - no nothing - its left up to viewers themselves to hopefully find eNCA's satirical weekly news show with Loyiso Gola, clearly produced with so much effort and dedication by Diprente productions. While e.tv employs and pays actual real publicity people a monthly salary to tell South Africa's TV critics and press about shows on e.tv and eNCA, shows like Late Nite News with Loyiso Gola are simply not given the respect nor publicity which it actually deserves. Over the course of several previous seasons of Late Nite News, I've always had to first myself, know that the show is returning. Then I have to make written media enquiries to e.tv's publicity department which I do a week or so before a season starts. Then I have to out of my own ask again and follow up due to a lack of a response. Then finally I would get a response. It's been that way for at least the last three seasons of LNN. And it's tiring because LNN isn't the only show in the TV universe I as one person tries my best to keep track off. With 2014 having just started, I knew that Late Nite News is coming back but I got tired from asking e.tv about the eNCA show yet again. I thought I'd wait and see if e.tv and eNCA can manage to come up with even one sentence to say that LNN is back for 2014 out of their own volition and without any prompting. Lo and behold, again sweet all nothing. How terrible e.tv and eNCA, when a TV critic cares more about your own show than what you apparently do. Where is the press release about Late Nite News with Loyiso Gola for 2014? Where is the publicity photo? Where is the few sentences about where David Kibuuka is in the next episode or who Chester Missing is talking to? That little bit of info which fills a highlight block in a newspaper on the TV listings page, and gets the show noticed and inserted into the TV guide pages of a magazine? Rightly or wrongly, this is what it tells me: It tells me that eNCA can't care less whether people actually tune in for and watch Late Nite News with Loyiso Gola. That its just there. If programming updates are sent out for other programming, why never for LNN regularly, and why never without having to be first asked before a season starts? And lets not even get started about the lack of publicity about great shows like The Big Debate - taken over from the SABC and SABC2 by eNCA, but just left in a vast wasteland of no attention when it comes to actual consistent publicity before every episode. Late Nite News with Loyiso Gola cracked an Emmy nomination in 2013 but not even that achievement is enough for eNCA and e.tv to start giving the half hour satire show the consistent publicity, weekly updates and bare basic level programming note per week. Chester Missing will have other words for it. I just call it pathetic and shameful. BREAKING. South Africa's David McKenzie of CNN International roughly manhandled in China for reporting news from a public space. The South African TV reporter David McKenzie in China working for CNN International (DStv 401) was roughly manhandled, screamed at, and CNN International's camera even broken by aggressive Chinese police as David McKenzie tried to report in Beijing from a public space on a court case. The Chinese government and police cracked down on media coverage as an activist court trial started in Beijing. Other international journalists and reporters were reportedly also roughed up. BBC World News (DStv 400 / StarSat 400) reporter Martin Patience was also intimidated, as was Sky News (DStv 402) reporter Mark Stone. "This is a public space. There is no need to shout at me," David McKenzie said to the aggressive Chinese police woman who grabbed him. While police members started to flap around David McKenzie, he kept on reporting, explaining why the activist Xu Zhiyong is in jail and on trial in China. The Chinese authorities then physically dragged David McKenzie and his crew away, threw them in a van, drove them away, took away the crew's phones, confiscated their IDs and broke CNN's video camera, physically pulling it apart. "They're physically manhandling me. This is a public space. I'm allowed to report. I'm allowed to report. We're reporters. We're reporting in a public space," said David McKenzie as he was taken away. David McKenzie in his filed story talks of the strong-arm tactics the Chinese government and Chinese police use against journalists, and how it's even worse for ordinary Chinese living in that country. CNBC Africa silent as the mother brand CNBC kicks off its 25th anniversary today. There's not as much as a peep from CNBC Africa (DStv 410) as its mother brand CNBC kicks off its 25 anniversary today. The business media group Africa Business News (ABN), the holding company of CNBC Africa and Forbes Africa on the African continent couldn't be bothered with any press or publicity regarding CNBC's 25th birthday. 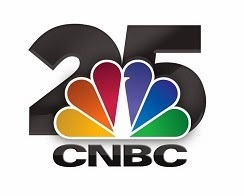 Nor does CNBC Africa bother with the "CNBC First 25" - the CNBC list of the 25 people who have had the greatest influence in business since the original American business brand launched as a TV business news channel in 1989. Tyler Mathisen will appear tonight on CNBC Africa when CNBC Africa carries CNBC, to report on CNBC's 25th anniversary and the list of nominees. CNBC announced 200 nominees today which will be whittled down to the eventual "CNBC First 25" in April. BREAKING. 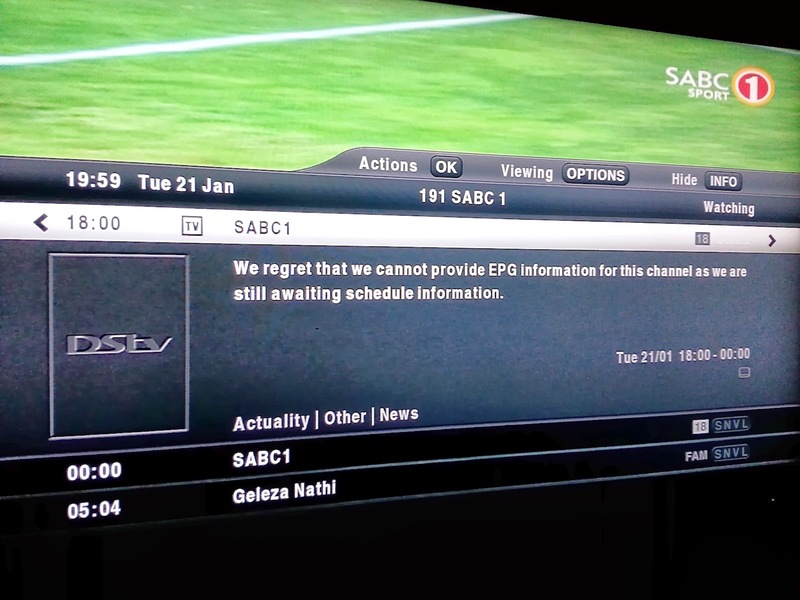 SABC responds over SABC1's 'embarrassing' inability to provide EPG information to DStv: Problem 'getting urgent attention'. The SABC is responding to the massive fiasco of SABC1's inability to supply programming information timeously, correctly and comprehensively to services like MultiChoice's DStv, telling TV with Thinus on Wednesday that "The SABC has been experiencing some internal challenges" and that the problem is getting urgent attention. TV with Thinus on Monday reported on MultiChoice's quiet decision to blatantly drop SABC1 programming, listings and descriptors from Monday morning its on-screen electronic programme guide (EPG), telling viewers that the pay-TV platform "regrets that we cannot provide EPG information for this channel as we are still awaiting schedule information". South African TV critics countrywide pounced on the SABC and ripped into SABC1, calling the TV channel "incompetent", "dismal" and the inability to provide programming information "embarrassing". "The SABC has been experiencing some internal challenges regarding the EPG on SABC1," says Kaizer Kgangayo, SABC spokesperson on Wednesday. "The matter has received our urgent attention and we are working on a solution towards this". "Please note that we will ensure that the matter is resolved as quickly as possible. In the meantime we would like to request our viewers to be patient with us as we attend to this," he says. Strangest (funniest!) non-TV headline of the day: DStv Explora the first to arrive in Rio. 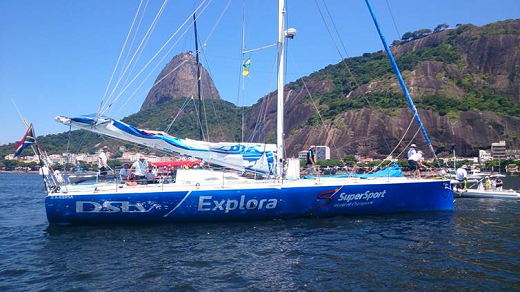 The DStv Explora was the first to arrive by sea in Rio de Janeiro. Not MultiChoice's spiffy new PVR decoder, but the boat named DStv Explora. MultiChoice part sponsored the boat, skippered by Craig Sutherland. And the DStv Explora was the first South African boat to cross the finish line in this year's Cape to Rio race, completing the 5 300km in 16 days and 4 hours. The American talk show host Wendy Williams broke down and started crying on Monday on The Wendy Williams Show on BET (StarSat 151) (episodes are broadcast same day-and-date on weekdays in South Africa), telling her TV studio audience that her son doesn't like her anymore. "What I discovered this weekend is my son doesn't like me anymore," Wendy Williams revealed through tears. "I discovered it a while ago, but the ball just got smacked home this weekend. He's all into his father. You know how 13 year old are. I was the same when I was 13. But it is breaking my heart." "He doesn't care about Wendy on TV. He doesn't care about any of that." "I can't understand men who disappear from their kids' lives. Thank god he has my... he has his 'buddy' you know. And father! You know. He's a father, he's a buddy. They talk sneakers. They go for hair cuts. They speed off in the car. And I'm just left there," said Wendy Williams. South African TV critics across the country blast SABC1 for 'empty' EPG on DStv; calls SABC1 'incompetent', 'dismal' and 'embarrassing'. South African TV critics across South Africa on Tuesday blasted SABC1 for the SABC TV channel's apparent unprofessionalism and inability to supply consistent, timeous and correct scheduling and programming information to pay-TV operators such as MultiChoice's DStv and On Digital Media's (ODM) StarSat. The lack of programming information made it difficult if not impossible for DStv and StarSat to fill and populate their on-screen electronic programme guides (EPG's), which led MultiChoice to simply give up since yesterday. TV with Thinus on Monday reported that MultiChoice finally decided to drop SABC1 scheduling information from the DStv EPG, telling DStv subscribers in no uncertain terms that the pay-TV platform "cannot provide EPG information for this channel as we are still awaiting schedule information". Likewise StarSat's EPG for SABC1 is as bare bones as it comes, leaving StarSat subscribers accessing that pay-TV provider's EPG also clueless as to what is showing. 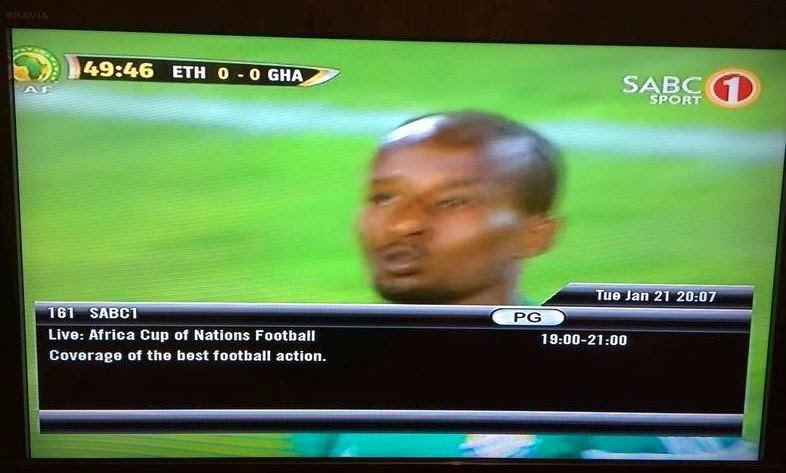 The EPG embarrassment is ironically happening as SABC1 shunted its entertainment primetime line-up to sister channel SABC2 creating a difficult programming maze for viewers to navigate to try and find their shows, and as SABC1 is broadcasting CHAN 2014 soccer matches - which viewers don't know where to find, nor which countries are playing. The lack of EPG information made it impossible for viewers to plan their viewing or know what is on, or upcoming - but even worse made it impossible to record any specific programmes - whether soaps or soccer. SABC1 is the most watched TV channel in South Africa according to viewership figures, making the missing programming schedule information mind-boggling and shocking. Getting correct scheduling information and programming synopses from certain SABC TV channels has been an ongoing struggle for South African TV critics for years. All of the TV critics TV with Thinus spoke to on Monday and Tuesday deeply felt, shared, and instantly had sympathy for MultiChoice's pain - they also publicly heaped scorn on SABC1. The SABC remained silent on Monday and on Tuesday, and didn't respond to media enquiries made on Monday morning seeking clarification and comment from the South African public broadcaster's corporate communications office, as well as from SABC TV public relations executives, as to what is going on and why there is this problem. While the SABC remains on mute, South African television critics however are not holding back their contempt for SABC1, ripping into the TV channel and calling SABC1 "incompetent" and "dismal". The veteran TV critic Tashi Tagg from Cape Town, and editor-in-chief of TVSA, is blasting SABC1 with a "rock bottom alert!" on TVSA, noting that the worsening SABC1 programming scheduling information and now total lack thereof is "a meltdown that's been happening for months already" and which has now "plunged to a new all-time low yesterday". Tashi Tagg called SABC1's EPG schedule "already very dismal last year" and "crammed with errors and last minute changes". "Clearly the person at SABC1 who's responsible for submitting the info to DStv has gone on an extended holiday of epic proportions and has no intention of ever returning. If they care so little about what's happening with the channel on the PVR there's no ways they care enough to return to work," wrote Tashi Tagg. The Johannesburg based TV critic and columnist and entertainment commentator Phil Mphela wrote on his site that he's "livid", and likewise blasted SABC1 on Tuesday, saying its "inexcusable, deplorable and downright incompetent for a number one channel in this country to still be experiencing these amateurish mishaps". "This is beyond embarrassing for the channel, it is just pure lack of professionalism or care for the channel's viewers?" asked Phil Mphela in his column. "What the heck is going on at SABC1? Get your act together and fire people who do not do their jobs. You are the channel for the people. The masses of Mzansi love you, they have made you number one. Do not be arrogant and disrespect them by offering mediocrity all the time." "If you can't put on better programming then, for the love of God, provide better services with your channel broadcast. It is the least you can do," Phil Mphela wrote on Tuesday. He also wrote to tell me: "It is disheartening to know that in 2014 a channel as popular as SABC1 would still be making such elementary blunders. It leaves one wondering if it is just a case of incompetence or a blatant disregard for respecting the viewers because the channel knows the masses will still watch." "'If the SABC is to restore any sense of confidence from its viewers, it ought to start holding its stuff accountable. Someone is not doing their job and they should not be getting a paycheque." "SABC1 lauds itself as the channel for the people. Well, we are the people, show us you care." 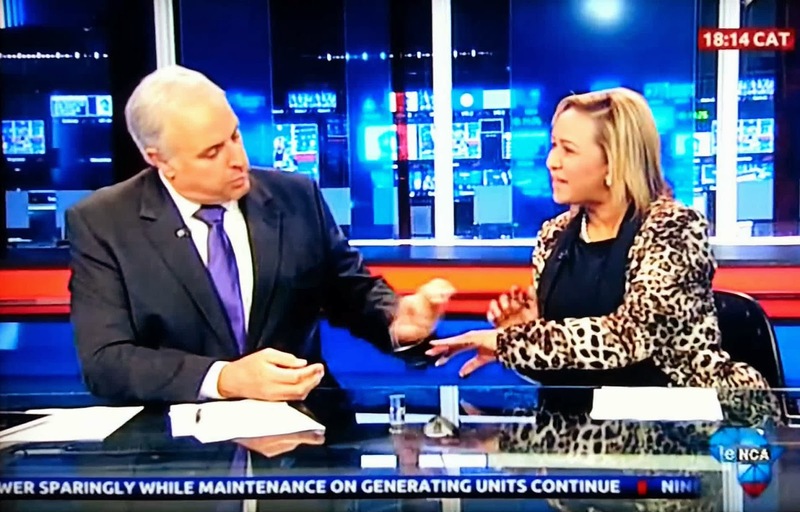 eNCA's Jeremy Maggs asks his NewsNight co-anchor Iman Rappetti for her hand and ring finger live on television! But it's not what you think. 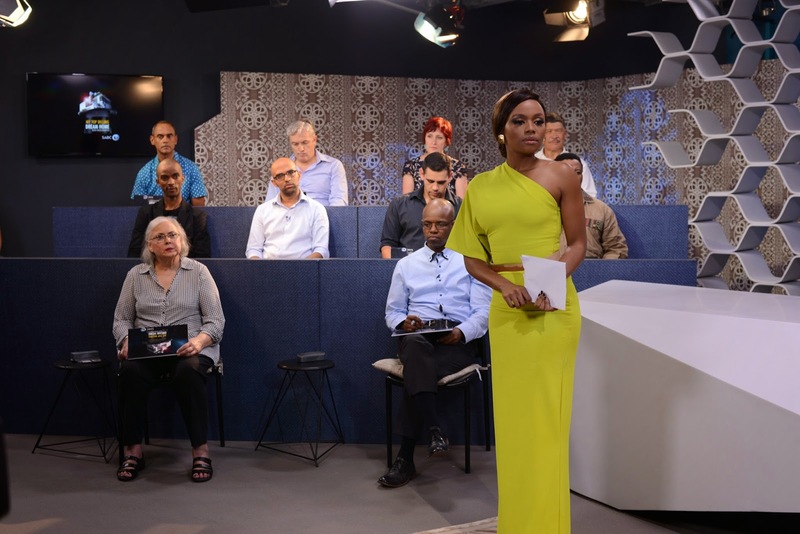 On Tuesday evening South African television's bona fide first couple of TV news had a moment when the eNCA's (DStv 403) primetime news anchor Jeremy Maggs asked his NewsNight co-anchor Iman Rappetti for her hand and her ring finger live on television. But it wasn't what viewers thought. After she was off, and then he was off during the end of year and start-up period, Jeremy Maggs and Iman Rappetti are back together co-anchoring NewsNight together with their brilliant on-screen chemistry. On Tuesday evening on eNCA the two once again not only brought viewers the news, but as always their indelible co-anchoring TV news magic which always enhances the already stellar night news broadcast. Iman Rappetti told viewers about a new blue diamond - the rarest of diamonds in the world - discovered at the Cullinan mine near Pretoria, worth millions and the size of an acorn. That's when Jeremy Maggs chipped in with his impromptu, off the cuff question when he asked Iman Rappetti: "Show me your ring finger?" The never flapped Iman Rappetti - always ready to ham it up a little with her co-anchor during less serious moments - laughed and diligently held out her hand. "I think it should fit. Acorn?" she mused. "We'll see what we can do," said Jeremy Maggs before they returned to the serious news. BREAKING. 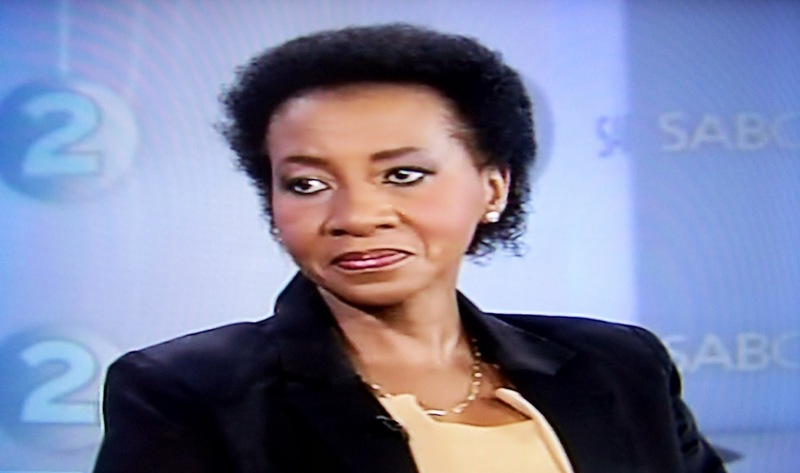 Lesego Motsepe memorial service to be held at the SABC's Auckland Park headquarters this Thursday at 13:00. A memorial service for Lesego Motsepe, the HIV positive actress who played the character of Letti Matabane on SABC3's Isidingo for 15 years and who died suddenly yesterday in her Randburg home, will be held at the SABC this coming Thursday, 23 January, at 13:00. The memorial service for Lesego Motsepe will take place at the SABC's Auckland Park headquarters. Plans for her funeral service is also underway. ALSO READ: Isidingo and the SABC react to the sudden death of actress Lesego Motsepe who played Letti Matabane in SABC3 soap.